Michigan| A group of amateur archaeologists searching for remains of a native american settlements near the town of Cheboygan, on the coast of Lake Huron, have uncovered a large quantity of artefacts, allegedly of Norse or Viking origin. 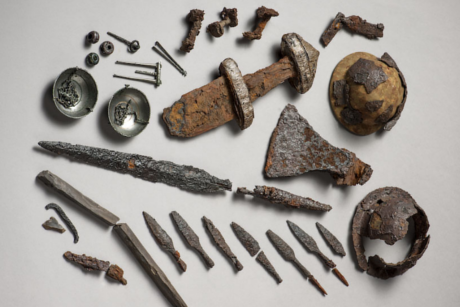 A total of 194 objects, mostly made from various metals including silver, iron, copper and tin, were found on what could be the site of an ancient viking trade post, controlling the Straights of Mackinac that leads to Lake Michigan. 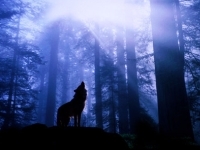 The artefacts are of various nature and geographical origin. Swords, axes and other weapons from Scandinavian or Germanic origin, silver buttons and a balance scale allegedly from the British isles, hair combs and knife handles made of walrus ivory and originating from Greenland or Iceland… The presence of all these goods suggest an elaborate and efficient economic system based on long-distance trade. Archaeologists had been searching the eastern coast of North America for signs of the passage of Norsemen, ever since the discovery in 1960 of the site of l’Anse aux Meadows, in Newfoundland, Canada. Many items found on that first site had suggested that an elaborate network of trade existed between that specific Norse colony and the continent. Such clues included the remains of butternuts, which didn’t grow on any land north of the province of New Brunswick. Other possible Norse outposts were identified in 2012, in Nanook, in the Tanfield Valley on Baffin Island, as well as in Nunguvik, on the Willows Island and the Avayalik Islands. This is however the first Viking settlement discovered in the area of the North American Great Lakes, and this could bring a lot of new information concerning the actual extent of their trade network on the continent. The site is strategically located to enable control of the waterways leading to both Lake Michigan and Lake Erie, while enabling a navigable access to the St-Lawrence Bassin and the Atlantic Ocean. All the items already recovered have been transfered for further analysis to the Department of Archaeology of the University of Michigan, who has also inherited the responsability of the site. Further research should be done over the next months to complete the survey of the site and gather all possible remaining artefacts. Direct Democracy, Confederation of the free and old. If real, those are from Nordic countries most likely, look very famliar. Someone commented that picture is from Norwegian finds so I will remain sceptical until we get some more info.